Even though the Jammu and Kashmir Government put out the draft State Environment Policy on its website for comments, it did not get any response from state departments other than the ones dealing with environment and forests, indicating that the government is not serious with environmental issues. 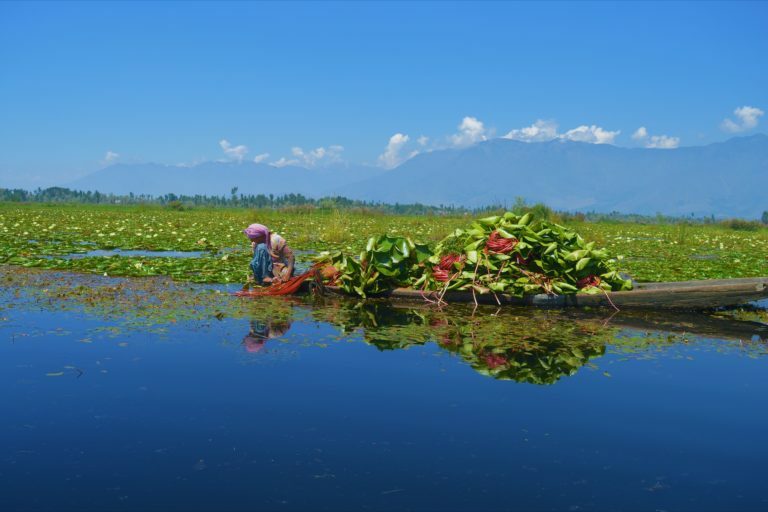 Himalayan wetlands and lakes, which are sensitive ecosystems in Jammu and Kashmir, do not get the adequate importance in the environment policy. Despite their importance, the wetlands have been facing constant neglect, leading to flood-related consequences when there is heavy rainfall. After dithering over it for years, Jammu & Kashmir’s Department of Forest, Ecology and Environment uploaded the draft of the State Environment Policy (SEP) 2018 on its website in the second week of August this year, inviting comments and suggestions from various government departments and civil society within four weeks through email. The J&K government had started working on the SEP, the state’s first environment policy, ever since the National Environment Policy (NEP) was announced in 2006 by the government of India. The state has its own Forest Act, Wildlife Act and several other acts owing to its special status under the constitution of India. The dominant theme of NEP is mainstreaming environmental concerns into all developmental activities. It emphasises that while conservation of environmental resources is necessary to secure livelihoods and well-being of all, the most secure basis for conservation is to ensure that people dependent on particular resources obtain better livelihoods from the fact of conservation, than from degradation of the resource. 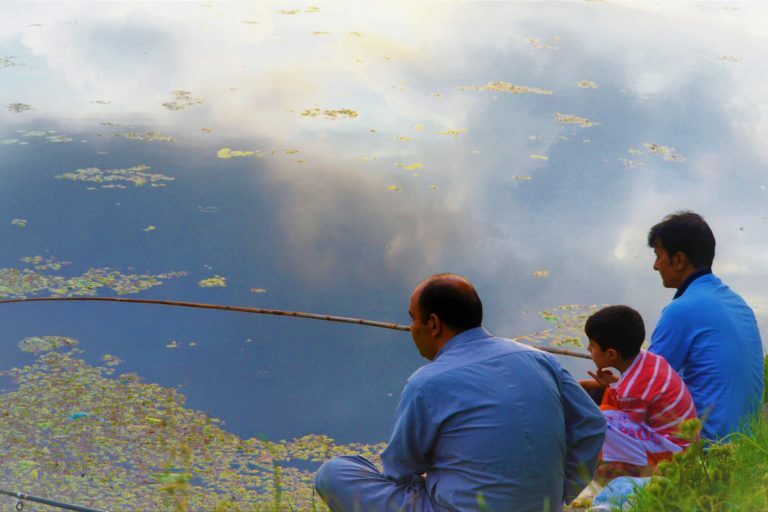 Fishing in a Srinagar wetland. Photo by Athar Parvaiz. The SEP draft of J&K government, which was first drafted in 2012, but never put in public domain until August 2018, recommends measures for protecting state’s critical ecological systems and efficient use of environmental resources. But despite the passage of around four months since the draft was uploaded, the forest department has not heard from the stakeholders that are part of the Jammu & Kashmir government. These stakeholders include government departments such as tourism, industries, agriculture, and housing and urban development. “We reminded them about their response even before uploading the draft on website as we had shared the draft with them. And, after the draft was uploaded on the website, we sent them official reminders twice. But we got no response,” an official of the forest department told this writer on the basis of anonymity. “The comments and suggestions we have got so far, have only come from civil society,” the official said. When contacted, the present commissioner secretary of J&K’s Forest, Ecology and Environment Department, Manoj Kumar Dwivedi, said that his department is hopeful about having responses of other departments of the government very soon. “Now we are planning to send our officials to the concerned departments so that we have their response. Their participation is very crucial for successful implementation of the environmental policy once it is in place,” Dwivedi told this writer. Identifying the key environmental challenges, the SEP draft puts much emphasis on protection of wetlands, forests and rivers of Jammu & Kashmir and underscores the need of putting an end to alarming air pollution and soil contamination. “Unfortunately, our unique wetlands are facing tremendous ecological stress primarily because they are visualized only as a source of water, ignoring their vitality as a holistic biotic system,” a section of the SEP draft reads. While robust environmental laws for the state are awaited, activists are dismayed over the government’s general apathy towards the environment, specifically the state’s wetlands. “Such remarks give us an idea about the government’s catastrophic plans regarding the future of wetlands in Srinagar city,” Kango said. The destruction being caused to natural resources such as wetlands, is not only posing a threat of repeated flooding in many parts of the Indus basin, but can negatively influence availability of livelihood options for communities which depend on wetlands for fodder, fishing and eco-tourism. The large-scale destruction during September 2014 floods in Kashmir was widely attributed to haphazard development in Kashmir’s major towns as developmental and housing infrastructure has been raised in erstwhile flood basins (wetlands) of the region in recent years. Women carrying fodder from Wular Lake in north Kashmir. Photo by Athar Parvaiz. Sustained pressure on the government from activists, media and judiciary seems to have brought wetlands under some spotlight. In August last year, the Jammu and Kashmir High Court directed the state government to demarcate the wetlands and take measures to conserve water bodies in the Valley. As a result, demarcation of wetlands in the state is being carried out, but officials say that they are dealing with a lot of resistance from encroachers. “Recently, around 1000 people surrounded our officials and disrupted the demarcation process in the Hokersar wetland. Those who have encroached upon wetlands over the decades are creating a lot of hurdles. But that doesn’t mean we will relent,” said Rashid Naqash, regional wildlife warden of Kashmir. On September 26, 2017 the union Ministry of Environment, Forests & Climate Change (MoEF&CC) notified a new set of rules, the Wetlands (Conservation and Management) Rules 2017, which replaced the earlier set of guidelines notified in 2010. According to the 2017 rules, each state has to set up a state wetlands authority that will be headed by the state’s environment minister and include a range of government officials. They will also include one expert each in the fields of wetland ecology, hydrology, fisheries, landscape planning and socioeconomics to be nominated by the state government. “In Jammu and Kashmir nothing has happened so far in this direction,” Kango said. Harvesting natural resources from a lake. Photo by Athar Parvaiz. Urban expansion in Srinagar and some major towns of Kashmir is consuming the region’s wetlands. A study carried out by Humayun Rashid and Gowhar Naseem of the Department of Environment, Ecology and Remote Sensing (Government of Jammu & Kashmir), in 2008, says that more than 50 percent of water bodies in Srinagar and its suburbs have been lost during the past century. “The comparative change analysis of the two maps based on the year 1911 and 2000 reveal that wetlands like Batamaloo Nambal, Rakh-i-Gandakshah and Rakhi-i-Arat and Rakh-i-KhanKhan besides streams of Doodhganga and Nala Mar have been completely lost while other lakes and wetlands have experienced considerable shrinkage during the last century,” the study says. The loss of water bodies of Srinagar and its suburbs is attributed to heavy population pressures, says the study. Srinagar city has grown 12 times in terms of population and 23 times in terms of area between 1901 and 2011. The city was also reported as one of the 100 fastest growing urban areas in the world. The study also indicates that siltation brought about as a result of wanton deforestation in the catchments of Kashmir [rivers] has also been an important factor that enhanced the land-use/land-cover change. 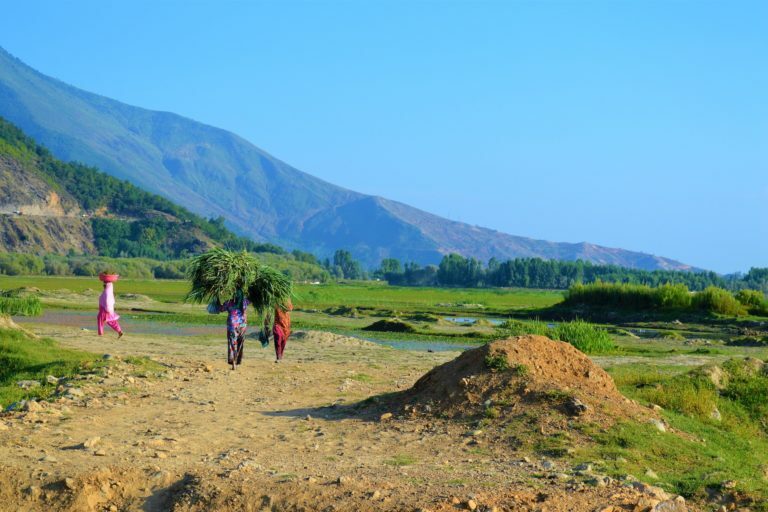 A separate study by Shakil Ahmad Romshoo and Irfan Rashid assesses the impact of changing land cover and climate on Hokersar wetland, a designated Ramsar convention site, in Kashmir and addresses the damage caused by siltation. Siltation due to deforestation is another major reason of declining water bodies in Kashmir. “Due to the increased siltation, the marshy lands have fragmented. Excess load of siltation has also adversely affected the depth of the wetland which was 1.12 metres and has reduced to 0.63 metres,” said Romshoo of Kashmir University’s Earth Sciences Department, quoting from his research paper on the impacts of changing land cover and climate on Hokersar wetland. Romshoo said that marshy lands of the Hokersar wetland have been steadily declining – from 16.3 square kilometres in 1969 to 5.62 square kilometres in 2008. In 1969, marshy land covered 85 percent of the wetland area. The wetland, too, has shrunk from 18.75 square kilometres in 1969 to 13 square kilometres in 2008. Another deteriorating wetland is the Wular Lake, 34 km north-west of Jammu & Kashmir’s summer capital, Srinagar. Once known for its depth and pristine waters, the lake has, however, witnessed large-scale degradation in recent decades. Wular has been an Ramsar Convention listed site (it has been listed as a wetland of international ecological significance) since 1990. It is regarded as the largest flood basin in Kashmir region. In a detailed study of the lake, Wetlands International stated that the original area of Wular Lake was 217.8 sq km, which included 58 sq km of associated marshes. The area, says the study, was reduced from 157.74 sq. km to 86.71 sq km during 1911 to 2007. Overall, there was reduction in the lake area by 45 percent mainly due to conversion of parts of the lake for agriculture and willow tree plantation, the study noted. The Himalayan wetlands play an important role in storing and cleaning water that flows into major rivers like the Indus, and act as a buffer between glacial melt waters and outflows to smaller rivers and streams. Any change to these wetlands will affect flooding and the availability of water for communities living in downstream river basins. [Editor’s note: The story has been updated with additional inputs sent by the author after its publication].